Bernard Hendricks came to Brand Excitement because his business was struggling to get clients. 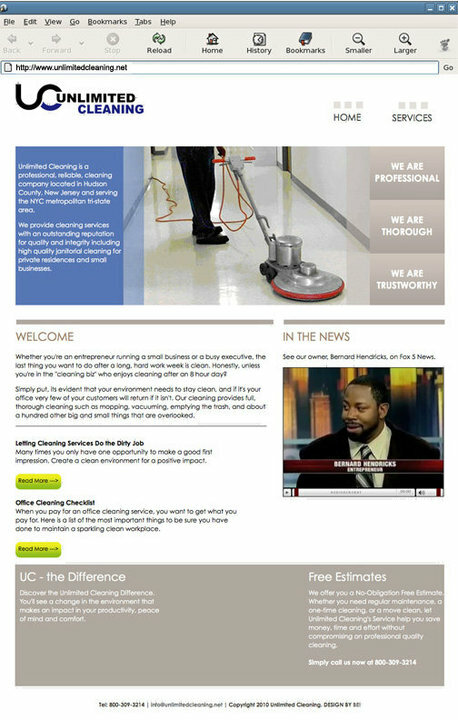 Unlimited Cleaning, a business he sold a few years later as part of a planned exit strategy, was a word of mouth business that had great potential but few clients. 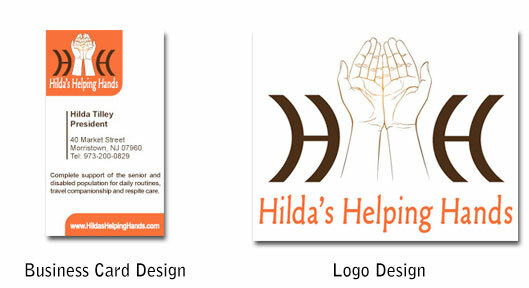 We started by creating a true visual identity for him. His website had been built on a free template by Godaddy, something that most entrepreneurs think is a good idea but in the end it makes you look like a cookie-cutter business and it limits your visibility and opportunity. We did visual brand identity, build an online marketing strategy and then created social media posts and managed his Facebook page for several months. The visibility this strategy built helped him get more clients, and bigger clients such as Diesel apparel, and helped him to hire more people and grow the business. On that success he was able to find buyers for the business and sell it as intended. See the design work we did below, and if you need to build your brand for an exit strategy be sure to consider the brand identity and strategy essentials we used for Bernard. 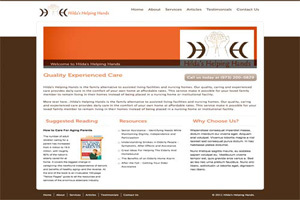 Above is the website we created for Bernard. For Before/after shots give us a holler. 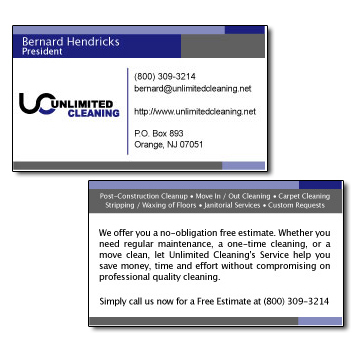 This business card represents the logo we created for Unlimited Cleaning, seamlessly connecting the U and C from the name, and the color scheme and clean concept that represented the brand persona. We love our clients! We are proud that we were able to work with Bernard and assist in his business growth and are honored to celebrate him and that work for our 7th anniversary series.